This large cross-like pendant comprises a raised, tiered, highly-worked and decorated front plate, and a plain silver backing plate. 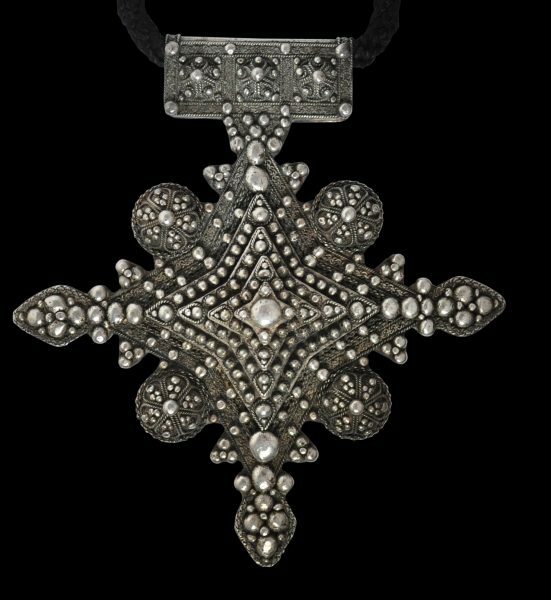 The front is decorated with plaited silver wire and numerous applied spheres and granulation work giving the form of something akin to a highly decorated star fish. 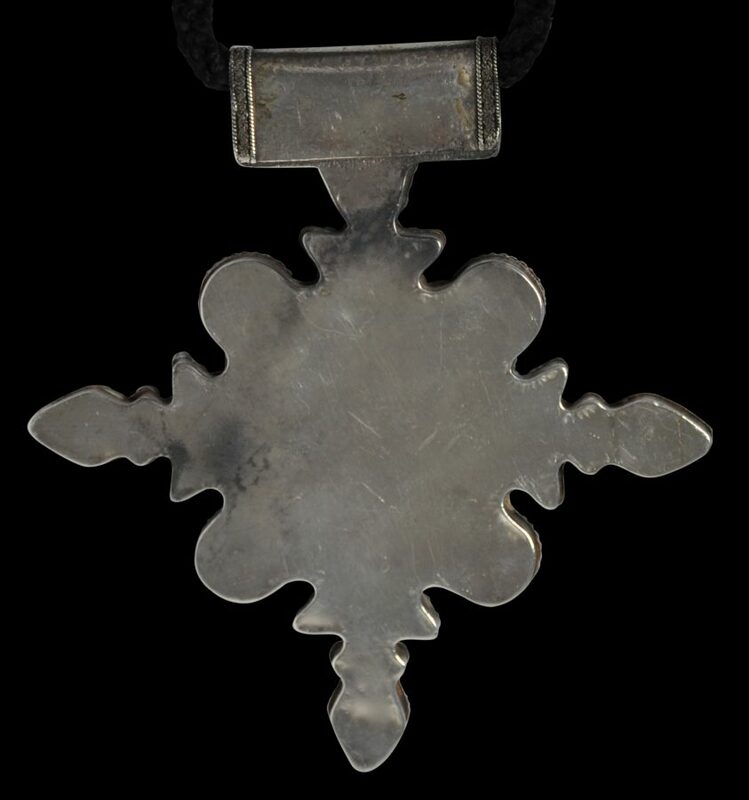 The top of the pendant has a rectangular cross-bar similarly decorated and with an open section to allow a cord to be threaded through so that the pendant can be worn. A handful of these large pendant crosses are known. It is likely that they are all the work of one workshop of silversmithing family and were made for local Berber clients in the Goulimione region (also spelled Guelmim) in the south-west of Morocco. A similar example is illustrated in Daalder (2009, p. 411). The example here has clear age, and is in excellent condition. It has a thick cord threaded through the top section but the is probably later addition and can be removed. Overall, this is a splendid example.